You may have wondered if anybody really listens to or cares about your input amongst the various organizations you belong to. I can tell you this: AHRMA does. Ours is an organization where everyone belongs and everyone has a voice, albeit that voice comes with responsibility! See something missing? Get in here and help! Have an idea? Share it! Want to make something better? We want you too as well! 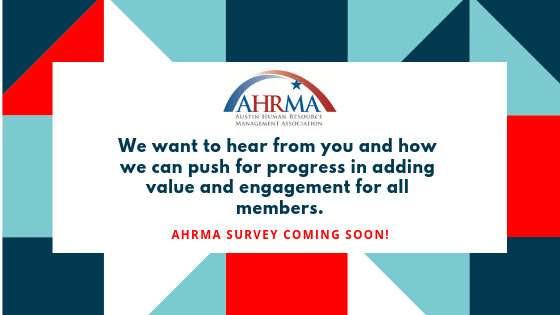 AHRMA is a volunteer organization – we count on you for your ideas, questions and input. So, how do you provide that? Fill out your survey every time one is sent to you – we read every single comment and consider all the data. Find a Board member during a Happy Hour, Monthly Meeting or other AHRMA event, trade contact info and start a dialogue. Read our website and reach out to those you want to share your creativity with. Our point is there are many ways to share what’s on your mind and in your heart. Some organizations may not really want to hear it – but we do! AHRMA is you, and everyone is welcome here.